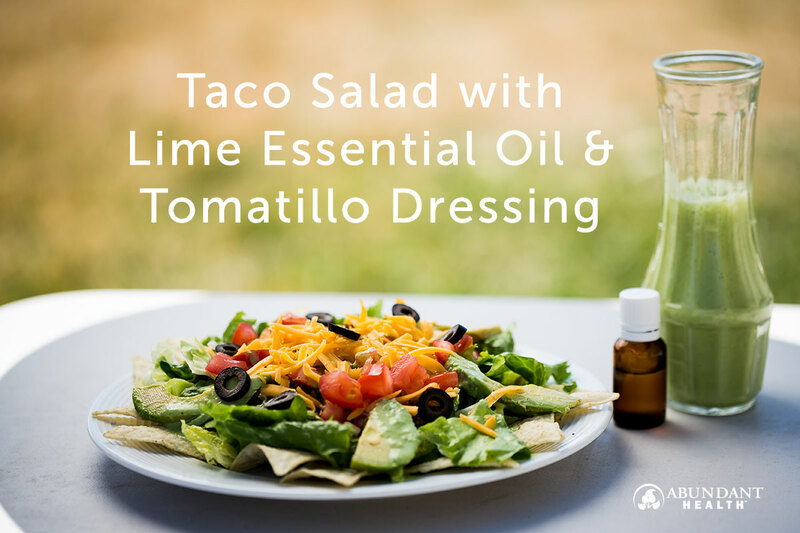 Impress the mom in your life this Mother’s Day with a delicious dinner of homemade taco salad that incorporates the benefits of pure lime essential oil. This recipe is also perfect for your Cinco de Mayo celebration. Combine all of the dressing ingredients in a blender. Blend on high until well combined (about 1 minute). Set aside. Stir together warm cooked ground beef, cumin, garlic pepper, and salt. Combine the meat mixture with the remaining salad ingredients in a large bowl, or layer all of the ingredients on plates. Drizzle the salad dressing over the top, and serve immediately. You can substitute strained plain Greek yogurt for the mayo and go with the homemade ranch seasoning noted about…Chemical Free! I make my own homemade ranch and use the following spices: garlic powder, onion powder, dill, parsley, dried shallots, & chives. You can use dried or fresh spices. Sounds good but Ranch powder is full of MSG.